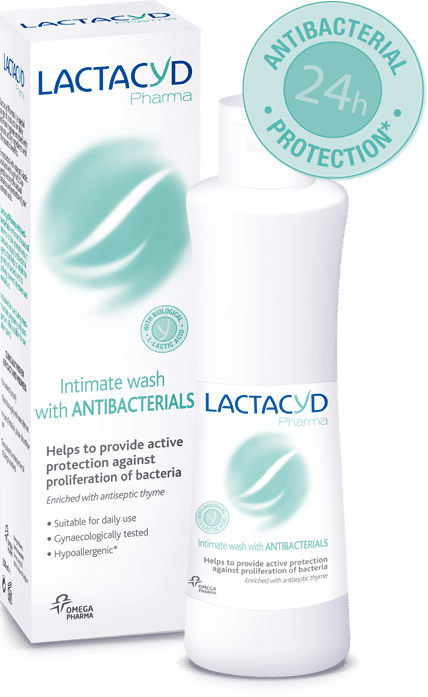 Lactacyd Pharma with Antibacterials reinforces the intimate zone’s natural defenses. 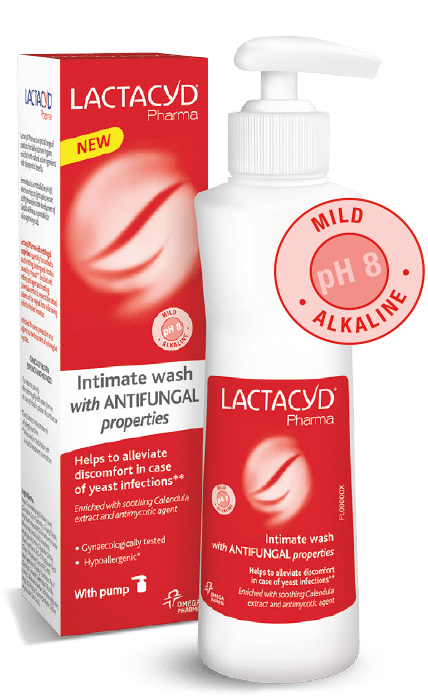 It contains natural antibacterial agents that help inhibit the growth of bacteria and prevent infections and bad odors. Specially indicated for use during pregnancy, post-partum and menstruation. It can also be used in situations with heightened risk like sport, swimming, tight clothing etc.